The Carbide R is a baseline XC shoe by Zyro with a comfortable, supportive fit, combined with a nylon and rubber co-molded outsole. This results in impressive durability and improved grip and traction in rocks and mud. The upper is made of supple synthetic leather with three wide straps that allow easy fit adjustments. Supportive EVA footbed with Aegis® antimicrobial treatment enhances comfort. 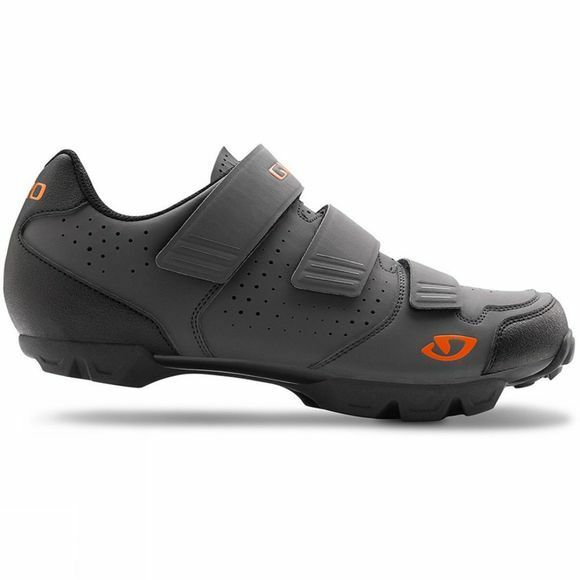 A stout injected nylon sole helps transfer power to the pedals instantly, enhancing your connection to the bike.